Martin Burke, (70), a fitter’s mate in Maintenance Department, Canley, retired (in 1972) after 29 years of valuable service. Martin started in the Maintenance Dept., at Canley, and in 1945 transferred to Maintenance Stores for a number of years. He then served the last 16 years between No. 2 and No. 3 Maintenance Shops at Coventry. 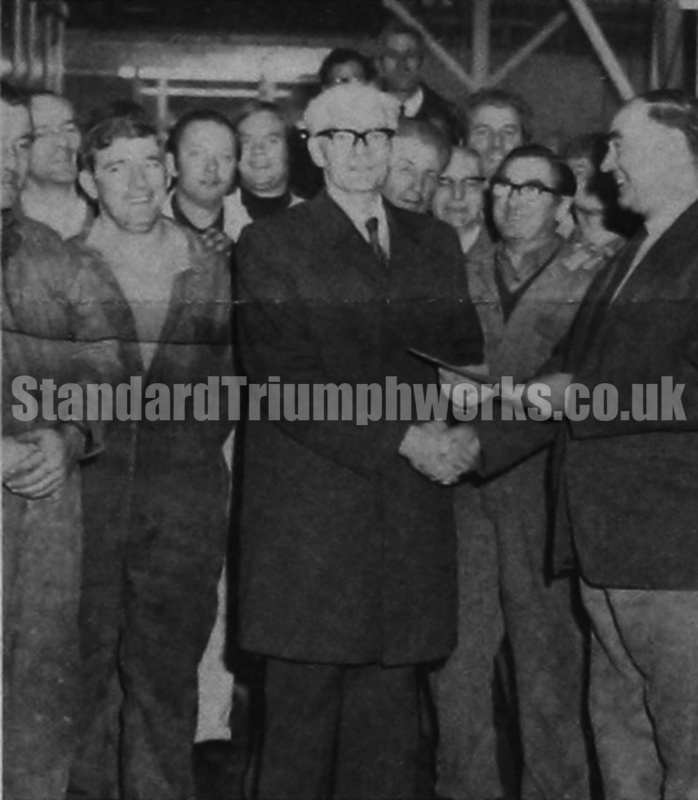 On behalf of Martin’s workmates Mr F. Picken, assistant Maintenance Engineer, presented a sum of money. Martin also received a sum of money from the Maintenance Fund, presented by Mr. Molloy, chairman. Mr and Mrs Burke live at 148 Almond Tree Avenue, Bell Green. They have five children, one son at home, and a daughter and three sons in America. In his retirement he intends to relax and enjoy his leisure.